How high are inheritance taxes in Philippines? 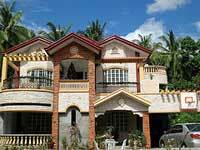 Nonresident foreigners pay estate tax only on property located in the Philippines. The taxable inheritance is arrived at after deducting all expenses, losses, debts, and taxes related to the property (all proportionate to the ratio of the Philippine gross estate to his total estate) as well as the surviving spouse's net share. Estate tax is levied at progressive rates. Nonresident foreigners pay donor's tax when they donate real property located in the Philippines. Donor's tax is generally levied at progressive rates. However, if the recipient of the donation is considered a 'stranger' for tax purposes, then donor's tax is levied at a flat rate of 30%. A stranger is a person who is not a brother, sister, spouse, ancestor, lineal descendant, or a relative by consanguinity in the collateral line within the fourth degree of relationship. What inheritance laws apply in Philippines? The law of the foreigner's nationality governs inheritance in the Philippines. Philippine inheritance law is governed by the Civil Code of the Philippines, with the Rules of Court completing the procedural framework. The general principle in the Philippines is that substantive issues of inheritance, such as the order of succession, amounts of successional rights, validity of testamentary dispositions, capacity to inherit, absence of a will, compulsory heirs, and reserved and free portions are primarily assessed according to the national laws (or, in certain cases, domiciliary laws) of deceased foreigners. The national or domiciliary laws of the deceased foreigner apply regardless of the nature or location of the property in question. If the property in question is located in the Philippines, and the foreigner's national law states that the applicable legislation for inheritance issues is the law of the country where the property is located (lex situs). If the foreigner's national law states that the applicable legislation is that of the foreigner's domicile, and the domicile of the foreigner, as defined by his/her national law, is the Philippines. If the foreigner's national or domiciliary laws refer inheritance issues back to the Philippines, even though the Philippines is not the foreigner's domicile or country of residence. In the above cases, the Philippines legal system, as ruled by the Supreme Court, has no alternative but to accept the renvoi, and apply the Philippines Civil Code, thereby avoiding conflicts with the national or domiciliary laws of the deceased foreigner. The court dealing with inheritance issues depends on the value of the estate. If the gross value exceeds Php200,000 (about US$4,000) or Php400,000 (about US$8,000) in Metro Manila, then the Regional Trial Court has exclusive original jurisdiction. If the gross value is less than the above amounts, then the Metropolitan Trial Court, Municipal Trial Court or Municipal Trial Circuit Court has jurisdiction. The Rules of Court (specifically the Rules on Settlement of Estate of Deceased Persons) govern the procedures to be followed. Alternatively, under the Rules of Court, an estate may be devolved through extrajudicial settlement, by mutual agreement among the heirs. This method requires that the deceased left no will and no debts, and that all the heirs are of legal age (although minors can be represented by judicial or legal representatives). The heirs simply divide the estate among themselves as they see fit, by means of a public instrument, and this document is thereafter filed with the Philippine Register of Deeds. A sole heir may adjudicate to him/herself an entire estate by means of an affidavit filed in the Philippine Register of Deeds. Depending on the size of the estate, the intricacy of the issues, and the parties involved, court proceedings for the settlement of estates in Philippines can run for a minimum period of six months to a maximum of several years. Certain parts of the estate of a deceased Filipino citizen cannot be freely disposed of because Philippines law reserves them for the "compulsory heirs". The same reservation does not necessarily apply to foreigners who are governed by their national inheritance laws. However if the Philippines court accepts a renvoi, then the reserved portions, "reserves" or "legitimes" established in Philippine law become applicable to foreigners. "Primary compulsory heirs" are preferred over secondary heirs, who receive only in default of the primary. "Concurring compulsory heirs" generally succeed as compulsory heirs, together with primary or secondary heirs. Depending on the surviving heirs called to the succession, the law reserves at least one half of the deceased's hereditary estate for distribution to the heirs. The hereditary estate is the difference between the assets and the liabilities of the deceased. If a property is conjugally-owned by spouses, or co-owned by several parties, then only that portion of the property belonging to the deceased forms part of the hereditary estate. One legitimate child is entitled to ½ of the hereditary estate. Two or more legitimate children are entitled to distribute ½ of the hereditary estate equally among themselves. The surviving spouse is entitled to ¼ of the hereditary estate if there is only one legitimate child. With 2 or more legitimate children, the surviving spouse is entitled to a portion equal to the legitime of a legitimate child. The legitime of the surviving spouse is taken from the free portion of the hereditary estate. The legitime of illegitimate children are taken from the free portion of the hereditary estate, provided that they do not exceed the free portion. The Family Code of the Philippines provides that the legitime of each illegitimate child consists of ½ of that of a legitimate child. In the absence of legitimate children and descendants, the legitime of legitimate parents or ascendants consists of ½ of the hereditary estate of their children and descendants. The testator may freely dispose of the other half, subject to the rights of illegitimate children and the surviving spouse. For example, if a decedent is survived by his wife and four legitimate children, ½ of his hereditary estate is reserved equally between the children (1/8 each) whilst the wife takes the same share as one legitimate child i.e. 1/8. This leaves 3/8 of the estate which can be freely disposed of in accordance with his will. The free portion of a hereditary estate can be freely willed to any person or class of person with the capacity to succeed under the Civil Code, even if that person is already a compulsory heir, with a prescribed legitime. There may be instances where no free portion is left to distribute. For example, if there is one legitimate child, a surviving spouse and two illegitimate children, the legitimate child gets ½ of the hereditary estate, the surviving spouse gets ¼ and the two legitimate children share equally the remaining ¼ portion, so there is no free portion. The will of a foreigner that is proven and allowed in a foreign country, in accordance with the laws of that country, may be allowed, filed and recorded by the Philippine courts. A copy of the will and the decree of allowance issued by the proper authorities in the foreign country, must be duly authenticated, and filed with a petition for allowance before the Philippine courts. The due execution of the will and the testamentary capacity of the decedent need not be proven again. After hearing, the Philippine court decides whether the will may be allowed in the Philippines. High income or upper middle class Filipinos are most likely to make a will, but those in the low income classes are unlikely to do so. Executing a will requires the heirs to go through the tedious process of probate proceedings, and rules out extrajudicial settlement of the estate. In some instances, as a form of estate planning, families establish "close corporations" or "holding companies" to hold and manage properties of the family to ensure continued development and expansion of family properties without being bogged down by succession or estate issues. It must be acknowledged before a notary public by the testator and the witnesses. In the case of a holographic will, Philippine law only requires that it is entirely handwritten, signed and dated by the maker. Private land in Philippines cannot be bequeathed to a foreigner. Non-Filipino citizens, who can inherit land by hereditary or intestate succession (without a will) but not by testamentary succession (with a will). Although ownership of private land in the Philippines is currently subject to the above nationality restrictions, foreigners are at liberty to buy condominium units, and most condominium projects in the Philippines are structured so that that foreigners can own such units; consequently condominiums may be inherited by foreigners through testamentary or intestate succession. There is a possibility that foreign ownership restrictions in the Philippines may be removed in the future if the Constitution is changed, which is the controversial plan of the administration of President Gloria Macapagal-Arroyo. In the absence of a will, Philippine law designates intestate heirs. The surviving spouse and the illegitimate children or descendants of the deceased are considered as "concurring compulsory heirs" and they succeed, as a general rule, together with the primary or secondary heirs. Philippine law considers all property given during the lifetime of the deceased as advances from his/her estate. Thus, any property which the deceased gave or donated to other persons before death must be returned to his/her estate. This is known as collation. The actual gifts are not brought to collation, but only their value at the time they were given. The purpose of collation is to estimate the value of the legitime of compulsory heirs and the amount of the free portion. Philippine rules of evidence apply, so that testimonial or documentary proof of the value of each gift must be presented to the court. There is no limit, in time or size, to the gifts considered. Even if the gifts were made before the compulsory heirs were born, they are collated. However, in practice, it is difficult to prove the value of small gifts, and gifts made a long time ago may be forgotten. Normally, collation only includes real estate (i.e. land, buildings, condominium units, apartments) and valuable personal possessions (e.g. jewelry, cars, stocks, shares, club memberships) for which documentary proof or evidence can be presented to the court. The values of gifts to compulsory heirs are chargeable against (i.e. deducted from) their legitime, except if the donor has expressed that "collation shall not take place" which means that the values of the gifts are deducted from the free portion. Gifts to persons who are not compulsory heirs are always chargeable against the free portion. If the total value of the gifts exceeds the free portion, then they are considered inofficious, in which case, the excess must be returned to the compulsory heirs. The law contemplates the return of property of the same nature, class and quality, as far as possible. Ownership of real estate in the Philippines is determined by the Torrens title. One of the cardinal principles in the Philippines is the indefeasibility of the Torrens Title to determine the ownership of real property. The registered owner indicated on the Torrens Title, and the incidents annotated therein, generally defeat any other claim, or claimant, not so registered. The Torrens Title system is quite reliable and has been used effectively to defeat the claims of some unscrupulous Filipinos who attempt to acquire other people's real estate in the Philippines by means of spurious or fake titles. A foreigner who purchases or inherits real property in the Philippines is therefore strongly advised to avoid such problems by procuring the services of a local lawyer to ensure that his/her name is registered as the legal owner on the Torrens Title. How high is income tax on residents in Philippines? My father and his 4 siblings inhertited land fro their parents. My faher and 3 of his other siblings has passed away. There is only one remaining. The land was sold, the money was divided equally between the only surviving sibling and the 4 families of the deceased siblings. My father has 3 legitimate, a living spouse and children and 6 illegitimate children. I am one of the illegitimate children. My siblings and I were raised openly accepted by my father to the public. My father married my mother but since there is no divorce in the Philippines,and since he was afraid if he annulled his marriage to his first wife, it would turn his other children illegitimate, which ends my siblings and I as illegitimate. There is no will written by my father, the will left by my father in regards to the property sold. Since that is the case, The money was divided between The living spouse, the 3 legitimate children and the 6 illegitimate children. my parents died witout any last will of testament of their lands,im the eldest of 4 child.presently im out of the country for work,and my sisters were still under of age,all of the documents that still named by my parents are with my aunt for keeping it for the time that im away,my question is?is there any possibilities that they may take advantage of transferring all the documents into her name? ?and in the time that im coming back home to take those documents,how will i know that those documents are still same documents that i left to her?and how i can transfer it to me and my sisters name? ?pls help me. a lot property was left behind by a dead sister. my mother died before my sister's death. I have my father who is still alive and 8 surving siblings. NOw my father would like to sell the property. What shall we do? Are my siblings entitled to a share of the value of the lot in case of sale? if so, how it should be distributed? In selling the property, are my siblings' signatures required on the deed of sale? Thanks for your time in answering this question..
We have a property that was left by my father a long time ago. We are 10 in the family. 9 of us were in the states and 1 was left behind because she had her own family. She had us do a POA with waivers becuase she said we will loose all our properties if she does not have our POAs. Our families have always been close and because we trusted her, most of us did and it is now annotated on the title of the property. She will not show us the title of the property. So we (the ones who made POA's did a revocation but we cannot annotate it in the title but we filed it in the local registry of deeds. She is now in the states, now a us citizen and we all wanted to build on what our dad left us in memory of our dad, she fought us and still fighting us. we want to annotate our revocation in the title, and my question is where can we get an original title of our property sowe can annotate the revocations. what are the inherit & constitutional limitations of the philippines?? My son is a US citizen and surviving spouse of a naturalized US citizen from the Phillippines. She owned extensive property in Manila with her mother and brother. She died without a will in the US. Is my son entitled to ownership of the property in her name in Manila? If so, what should be his first step to claim the properties? My mom passed away back in 2003 and left house and lot in the province, she bought the land when she was still a Filipino citizen, after becoming a US citizen prior to retiring in the Philippines, she built a house on the lot. She had no will. Is it possible for a US citizen son or daughter to inherent the house and and sell the property? a friend of mine enheritted a property from her deceased mother. the bigger portion of her property was given to her and her siblings back home wants to sell all inheritted properties including hers which she really opposed to and had told them she's against it. the problem is the property title has not yet been transfered to he name. what legal steps should she take to make sure none of them back in the philippines can sell her inheritted properties? if she would need to hire a lawyer locally in the philippines will she need them to file an affidavit to freeze any sale proceedings?how much would this process cost? our father died 20 years ago. our residencial property was transfer in the name of our mom and us (as heirs of our father and not by our names). our mom died 4 years ago (no last will). we religious pay our real estate taxes. just over 3 months ago we received a notice from BIR that we should transfer properties in her name to us heirs. we are not aware of the immediate need for the transfer and we are worried about the fees and taxes that we need to pay. could you please enlightened us about the process of land transfer and what are the fees that would be incured (how much). and what tax deductions which could be applied to lower the cost. what does "family home means"? Thanks. My father died 1999, 11 years ago, and just learned that the house that we are living need to be transfer to us. The title of the estate is still with my grandparents who passed away 1979(Grandfather) and 1981(Grandmother). My Mom still lives with us. We are continiuosly paying the real state tax but I heard that we also need to pay the estate tax or inheritance tax. The zonal value of the estate is around 1M Pesos. Kindly enlighten us how we can arrange to fix this issues and to whom we need to coordinate. I will appreciate also if you can give us some advise to reduce the cost of the fees. Thanks in advance. titled land from my Father who passed away 10 years ago. Now that we (the children) are all grown and asked what happened to the land, my Mom could hardly recall. We found the copy of the OCT and four other TCT's that arose from it. All annotations on the back of the TCT's were carefully analyzed and just does not seem to jive so now we are trying to find some answers.At some point,the land was auctioned off and my father had issued a restraining order to not issue a TCT to the highest bidder for he has the right as a registered owner for the redemption of the same. Two years later, a consolidation of ownership was noted and five months prior to consolidation, a deed of sale was done by the highest bidder to the new owner and was issued a TCT. The consolidation and the deed of sale were both inscripted on the same day, same time and the same year. 1/3 were sold, a few were mortgaged, and 1/3 tax levied and a part on joint venture. I have talked to a few people who already had paid for the lot but said that they can not get the title of their paid lot. What do you think is going on why they cannot issue the title? Let me know if you can help me find answers, Thanks. I have read the Philippine laws of inheritance in your page.I am currently residing in California and I was informed that the house and lot owned by my first cousin(our degree of blood relationship)was sold by her husband before he died in 2009 to his sister.I was adopted or reared by my first cousin when I was one and a half years old without any documents to prove I was brought up by her but all our neighbors and her co-teachers can testify to the truth that I grew up with her and considered me as her daughter.When my cousin was still alive she always tell me verbally in the presence of her husband that the property will be mine without living any will. When It was foreclosed I helped my cousin to get it back from Pagibig by giving her the money she needs.They don't have any children. Now my cousin died and her husband sold it to his sister before this husband died. I want to get back the property since it is not conjugal, it was purchased by my cousin when she was still single.I want to claim and get it as a sole heir. I want to file a case against her but some younger lawyers tells me I have no win in this case.I want to get it back because the husband did not have any contribution in the said property nor in the building of the house.Can I get it back by filing a case or should I buy it from the new owner which I can't really believe she deserves to own it.It is not a conjugal property the husband just married my cousin for security purposes since my cousin is ten years or more older than the husband. Please email me as soon as possible because I want to file a case against this new owner. Thank you. My father and mother are both widowed and i am their only daughter.I have 6 siblings with my mom before she got widowed and i have 2 siblings too with my father before i was born.My father died 7 yrs ago and he left a 180 sq. m.lot.Before my father died he said that he will give the lot to me.But my mom wants to give the half portion to one of my sibling to her first husband on her first nuptial who she claims to be hers.how much portion could i get from the said lot?what about my mother how much portion could she get?does she has the right to give a certain porion or her share to one of my sibling to her first husband of first nuptial?could i get the whole lot which my father had verbally states that the lot was to be given to me with any written document.The lot was not yetbeen titled and was not been yet transferred to my mom's name. could we still recover it and be directly transfer to my name even with my mom's permission? My grand parents left a piece of land for their children, thus there is no last will and testament existing, now the only sibling left is my father, given the condition he is now disposing the land, but some of his nieces are against it. Who really if legitimately has the right to dispose the land, my father being the son of the grandparents or the nieces being the grandchildren? i am hoping that you could help me and enlighten me on this. My mother died without a last will and testament. When she was still alive we only rented the land for many years, but when the owner was ready to sold the property my brother paid for the land for that time he was the one who had the money. He paid for the land but the receipt was not on his name but my mother and there was a document that my other two sisters signed as a witness that they paid for the land. I have 8 sibblings. My mother died and my brother said he owned the land. He has paid for the gains tax. so, is he really the legal owner of the land? Please do help me clarify this issue, for my family is in real danger right now. I would like to enquire about some properties we own in the Philippines. As a nearly-to-retire couple, my wife (a Filipino citizen) and I (a naturalized Danish citizen)had plan of staying in the Philippines during winter time, and in Denmark during summer. So in 2003, we both agreed to make a huge loan, making our house in Copenhagen as collateral, to pay in full two (2) small condominium units in the Philippines. Diagnosed of breast cancer in 2004, my wife passed away in the year 2010 leaving no testaments. Given the above mentioned information, I would like to ask some questions related to the given facts above, and at the same time I would like to solicit for your advice. 1. Are the two small condominium units which we bought out of the huge loan we made in Copenhagen considered conjugal properties? If so, will the properties be automatically transferred to me? 2. I was informed by a close family friend of my wife that my in-laws have also the right over the two small condominium units because we do not have children and I have renounced my Filipino citizenship and became a Danish citiozen. Is this correct? My mother has a tax declaration of the land can he own it? Question: My Mother has her inherited 1 hectare piece of land, but the problem is her inherited land was on the side of his father's brother because his father was given additional piece of land, because he is the one who planted the coconut trees and he is the oldest brother and my mother has the tax declaration of the land named to her. One day the children of her father's brother was wondering why there was a piece of land inserted in there land, and that was my mother's land. They have the land title as a whole but they are planing to subdivide it and have it titled but the problem is they recognized that my mother's land was inserted in there piece of land. Question: can my mother owns the land since she has the declaration and she has the right since that was given to her my his father with declaration named to her, but she have not yet have it titled. do we have the right of this land. please give me some advice on this matter. My mother, happened to inherit a portion of land to my step-great grandmother, last January, 2012. 1. I would just want to know if my mother's inherited land is a conjugal property of her and my father. 2. I want to know if my father who is now living with the said inherited land, has the right to live there or not because they are not living together anymore. Please do answer my question. Thank you very much! my late grandfather bought the rights of a land, he named it after my father, the land has no title yet but being applied by my father and it has a tax declaration under my father's name,. One of his siblings who passed away has an illegitimate child whom got born after my uncle's death. Now she suddenly came from nowhere when she got 18 and asking her share from my father. My father promised to gave her a share but she wanted a share that is half of the property. 1. Is the land considered inheritance? 2. Does she has right to claim for a share? 3. Is it alright if my father refuse to give her? Your answer is highly appreciated..thank you so much and more power..
My father died 9 years ago. Him and my mother who is still alive has a conjugal property which is the house and lot that we grew up with. When my father died, my younger sister decided to build a new house on the said lot and destroy the old, with the agreement that everyone can live there. Now my sister is claiming that shwe owns the house and that we do not have the right for a claim specially my mother, whom i knew owns half of the property. have decided to step in and told my siblings that it is better to divide my father's share equally. how can we make a claim on our share legally? Me and my wife just bought a lot in pangasinan, and when we tried to change the title we where informed that thee is unpayed inheritan tax. - Who should pay this? we are not realative to the owner of this lot. The sellers are the daughters of the descesed parents. - shouldn't this tax be payed by them? - and can we change the title without the payment of this tax? looking forward for your advice. my aunt is now married to an american and she is now a us citisen... but she is a filipino at birth until past the age of 18... can she inherit my grandmothers piece of land even though she is now a U.S citisen? MY wife and I have a foster daughter at The Philippines, she is living with her two sisters and their kids in a small house. Another part of the house are living her Lola and Lolo and also an auntie and family. Both houses are/were property of another auntie who was living for many years in Germany. This auntie was married for the first time at The Philippines and has two daughters from a Filipino husband. She is divorced and went to Germany and married a German man. (about 20 years ago) About 5 years ago she divorced from the German husband too. In March 2013 this auntie died by a stroke. Can you tell me who is/are the heiress of the lot and house at the Philippines. My mother is dying just learned that the house that we are living need to be transfer to us. The title of the estate is still with my mother name. We are continiuosly paying the real state tax but I heard that we also need to pay the estate tax or inheritance tax. The zonal value of the estate is around 1M Pesos. my mother died in 1991 with no will and all 3 title on her name. there are 4 legitimate and 4 illegitimate kids, in every title they are 3 houses which were divided in 3 siblings on 3 legitimate and 3 sibling on 3 illegitimate. i am one of the illegitimate, i want to transfer our title in the name of my sister but why do i need the signature of all the siblings alive and death with signature of all the children.all siblings have their own land title and they can do whatever they want on their inheritance. We also have our own land title from our mother who passed away but forgot to transfer all in our names. Is it true that even thou we have our own title we need permission from all sibling and their signature. Is there any other way to transfer out title without asking their signature. I am a naturalized German. I have a house and lot (not yet paid completely and I am still paying it until now) in a subdivision which I bought when I was still single, which means it has my maidenname still. But we found out I am sick and me and my husband want everything to be clear as early as now regarding inheritance of such property within a subd. My husband is a German. We have no legal kids, my husband has a son from first marriage who is of course also a German. I have no legal siblings but I have half siblings from my dad, who I don't want the property to go. Does my husband got the right for this property evrn if he's a foreigner? He is willing to take over all the payment and debts I might leave behind in case I go before him. Please help us what to do, I am totally confused with all these laws. Thank you very much. Pls need your Help. My parents have conjugal property and my mother died last year in April. Now we want to sell the property. What should we do first? We are all already an Austrian citizen. Here is my question my family has had proeperty that has been handed down from generation to generation.. We have a member over there that has spas with Our names on it three brothers and so not only are we being told she hs to be removed off the deed that a month ago was supose to be done sold at the end of this august to also being told that we have to send new spas with our wifes signatures. Becuase we listed them on our spas as our wife which they are. My question is about how long does the process take to remove a deceased person(aunt) of the deed .. I do know you can acquire a quit claim since she has passed..But my whole problem now is that it has went from the roertys being sold by the beginning of this summer to the end of the summer and now we are getting no time line that I am actually getting to the point to hire someone who can legally get the process moving and will keep me updated. Take into consideration that over a month ago I was asked for my account number for the money to be sent by the end of august to agian get told basically I dont know when..